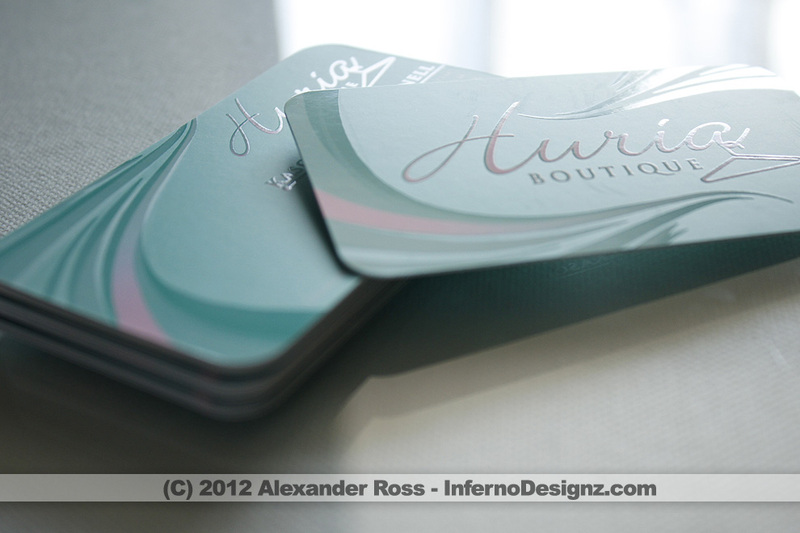 Huria Boutique is a local and online boutique for Designer Consignment Accessories, Jewelry and Apparel. 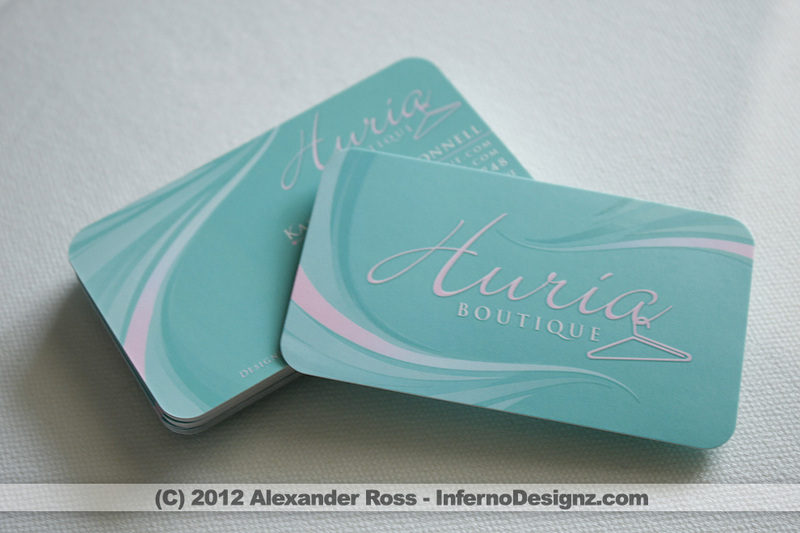 I designed the Logo and Business Cards using a Turq and Pink theme, The Cards are printed on a Premium Silk Card Stock with custom Spot UV gloss with Round Corners. Full Color Double Sided.